If you’ve visited Birtsmorton Court lately, you’ve no doubt met Chip. Giver of the warmest welcome and fan of a big stick, Chip is the Birtsmorton Court office dog. This adorable Cocker Spaniel makes our already lovely jobs even more wonderful with his waggy tail, big brown eyes and loving personality. To say that we’re dog people at Birtsmorton Court would be an understatement. As well as Chip, you might meet dogs belonging to the garden team and also the dogs who are lucky enough to call this beautiful venue their home. Look out for a Westie puppy called Lettice, she might be small, but she sure is mighty! Having Chip here with us everyday is a great reminder of just how important it is for our couples to have their faithful companion share their big day with them. We know that for puppy parents, having your dog present when you say I do is just as important as having any other member of your family watching on. Birtsmorton Court is a dog-friendly venue, in fact we can’t get enough of your lovable companions no matter how big or small. Over the past few years we’ve met so many beautiful dogs, all on their very best behaviour, who have gone above and beyond with their duty to make their parents wedding a day to remember. 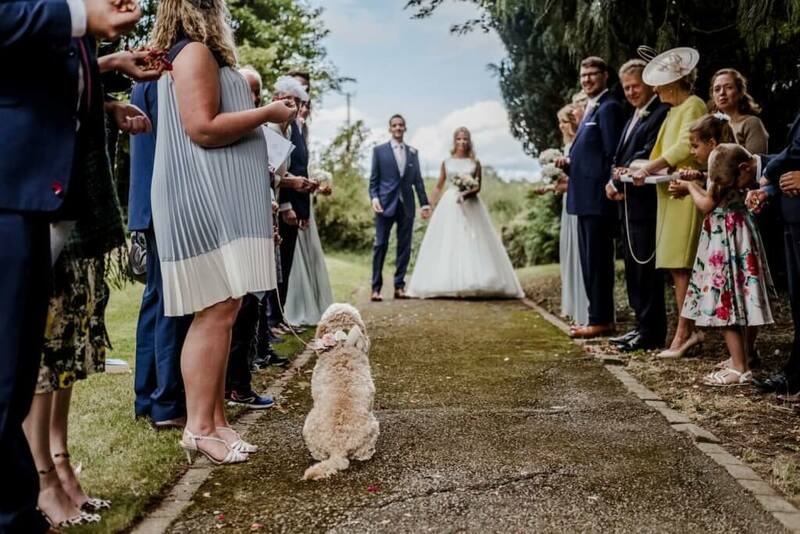 Dog are welcome in all of the ceremony spaces at Birtsmorton Court, including our beautiful onsite church. They can join you for your reception and stay overnight in the accommodation too. Whilst we do ask that they are kept on the lead around the Court, we are proud to announce that we will officially be opening our very own dog park within the grounds in time for this summer so that your dog can run and jump to his or her heart’s content. Chip has inspected the suggested area and has given it his paw of approval – and he can’t wait to see it in use, he might even join you if you want him too! 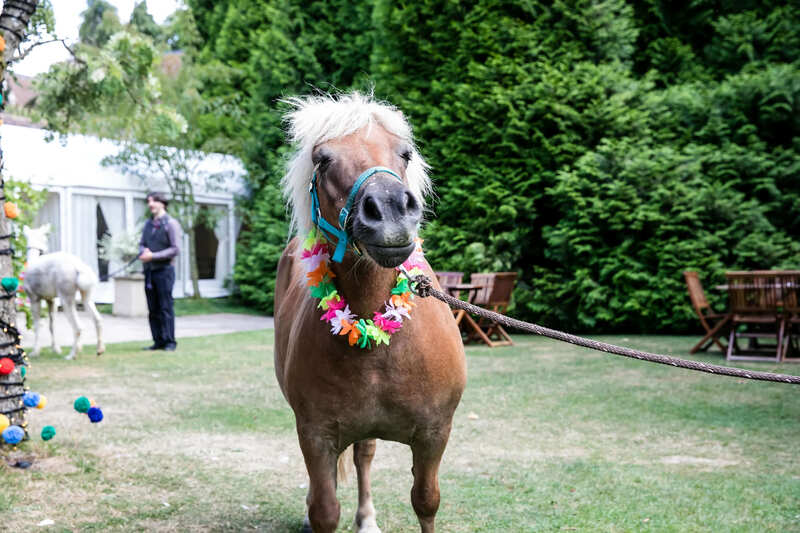 It does go without saying that as much as we might love our furry friends, left to their own devices around all of your guests, a fancy venue, a very white dress, a big cake and no one watching, disaster could surely ensue, which is why it never hurts to think ahead. Make sure they are dressed for the part. You have your outfit picked out, your guests do too, so why should the love of your life (- your dog!) miss out on all the fun. Of course, they must be comfortable and we’re not suggesting a three-piece suit, but you can never go far wrong with a nice new collar, flower crown, bow tie or even just a wash and a brush, to make sure they look just as fabulous in the photos as you do. Decide which parts of the day your pet would like to be involved with. Wedding days can be exhausting so make things a little easier for your favorite guest by planning out their day with designated rest times. Here at Birtsmorton Court we like to make sure our couples get the most out of our exclusive use wedding venue by splitting your drinks reception into two halves. The first spent on the picturesque terrace overlooking our iconic moat and acres of scenic Malvern countryside, the second in the exquisitely beautiful White Garden, which conveniently means that your pooch can spend 45 minutes with you on the terrace, getting photos and also getting lots of belly rubs! When it’s time for your guests to move over to the White Garden, let your furry friend nestle down somewhere for a quick nap and chance to change into their evening attire. Or, if you’d like to spend the whole of your drinks reception with your pooch, let them take it easy whilst you eat your wedding breakfast. No one wants a dog watching them intently whilst they eat anyway! Make sure there is somewhere your pet can take a nap. Perhaps the most important thing to confirm when bringing your dog to your wedding, is that there is somewhere for your pet to have some peace and quiet. Birtsmorton Court’s newly refurbished Garden House is the perfect holiday cottage not just for you and your human friends and family, but for a dog that needs to rest their head. There’s a large living space that you can fill with your pet’s favorite toys, tasty treats and a comfy bed, so they feel as at home as possible. If you have friends and family who live locally and are only attending your evening reception, you may like to ask them to collect your dog late afternoon and settle him or her at home for the evening, or alternatively, once your party is really swinging, your pooch can hang out in the Garden House until bedtime. Assign designated pet patrol. We understand that when it comes to your pet no one understands them quite like you. But when you have lots more guests to greet and pose for pictures with, you might find it useful to have someone else on hand to help look after your beloved. Most importantly, ensure that your dog is free to relax and enjoy the day as much as you are. This probably won’t be hard with all your guests ready and waiting to give him or her some fuss, but its also important that your dog has some time to, well, just be a dog! That is why we are so excited to have a dog park within our grounds, allowing your guest of honor the freedom to run, chase, chew, jump and take in the beautiful smells and views of the Malvern countryside. 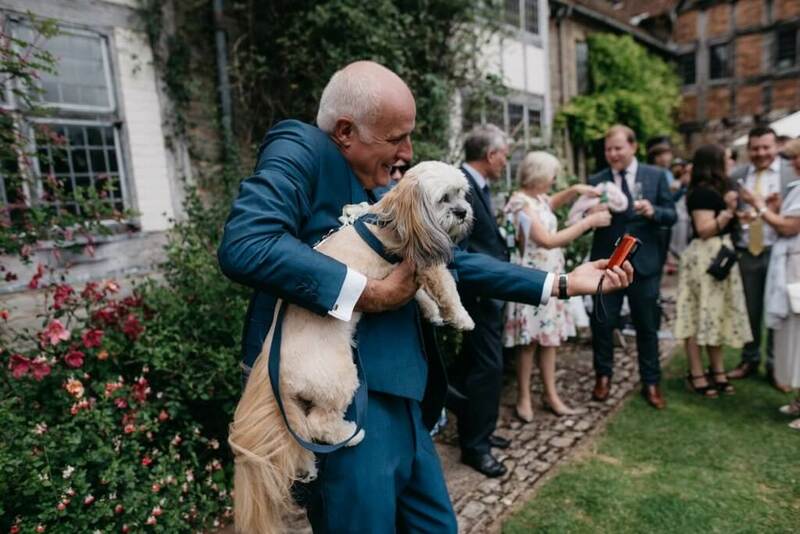 So, if you are as excited to see your dog walking down the aisle as you are your future bride, then Birtsmorton Court might just be the venue for you! If you have any questions about bringing your dog to your wedding, then don’t hesitate to get in touch with us on 01684 833 888. We do ask that for viewings and meetings you leave your furry friends at home, but we cannot wait to meet them on the day. PS. it’s not just dogs that we’ve welcomed in the past… but that’s for another post!